Nestled among coconut palms overlooking Pansea Beach and the blue waters of the Andaman Sea, Amanpuri is situated on the west coast of Phuket only 30 minutes from Phuket airport. 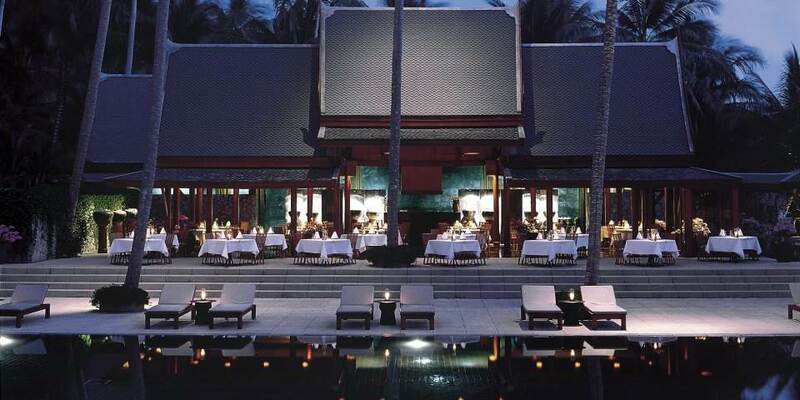 One of the many islands of Thailand, this elegant resort whose buildings reflect the style of Thai culture was first opened in 1988, since then it has become Amanresorts’ flagship property with an unrivalled reputation for personal service and attention to detail. 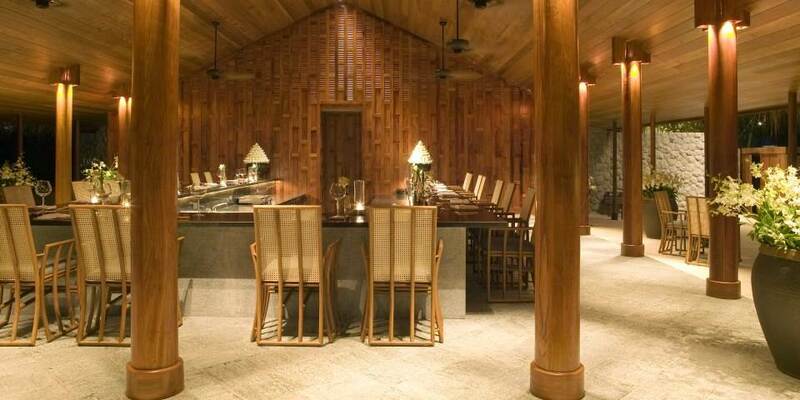 Amanpuri more than lives up to the Sanskrit word from which it is derived, it is indeed a place of peace. The Terrace and The Restaurant are both located by the swimming pool. Offering all day dining in an al fresco setting, The Terrace has a menu which has the emphasis on Thai and European specialities. Open for dinner all year and lunch during high season The Restaurant offers Italian cuisine. Also open in high season, Naoki is a restaurant only steps from the beach; here chefs create a delicious French Kaiseki menu which combines the flair of French cooking with the artistry of Japanese. Poolside drinks and snacks are on offer in the Bar which is also the perfect place to sit and watch the sun set over the Andaman Sea. There is a variety of sights worth exploring which are easily accessible from Amanpuri including Phuket Town with its bustling market and Government House, built over 100 years ago. Wat Chalong and Wat Phra Thong are amongst the many Buddhist temples on the island, while the dense jungle foliage of Khao Phra Thaeo National Park is ideal for elephant trekking. 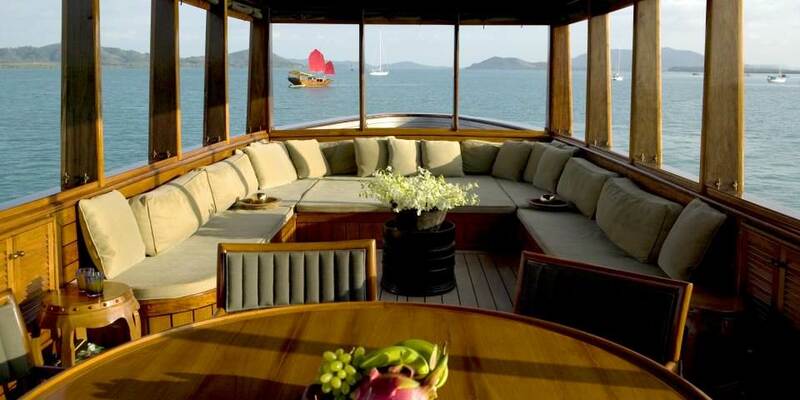 Amanpuri has its own yacht division with an array of different vessels, which range from an 18 ft. speedboat just perfect for a couple to take out snorkelling or water skiing, through Sealion, a classic Chinese sailing junk, to the magnificent Maha Bhetra a 90ft luxury cruiser with its 3 air conditioned bedrooms, ideal for cruising around Phang Na and Krabi. 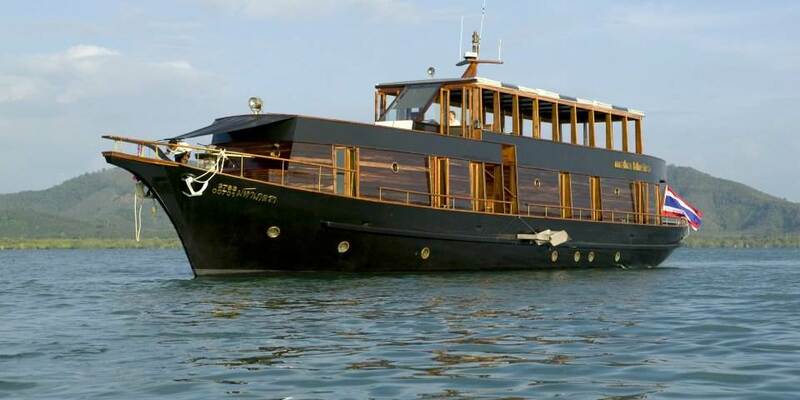 Available to rent for a half or full day excursion or even an overnight stay they offer the perfect way to discover the waters around Phuket. The resort also provides Hobie Cats, snorkelling gear, windsurfers and kayaks all on a complimentary basis. Those who prefer to stay on land still have plenty to occupy them with the beautiful freshwater swimming pool, 6 floodlit tennis courts, a glass walled gym which offers spectacular views while working out. The Library is a quiet place to sit and read newspapers or play games. 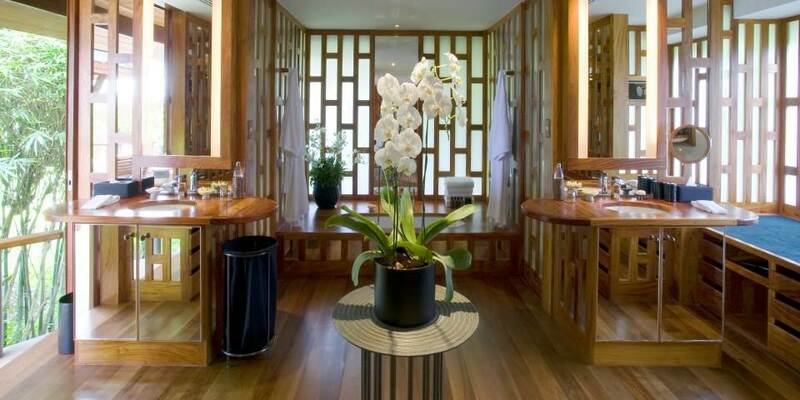 The beautiful Aman Spa has six light filled Thai style pavilions, in which therapists offer a tailor made programme using only the purest ingredients in treatments designed to heal and restore. Open sided Salas, high on the hillside are the venue for early morning yoga and meditation sessions. 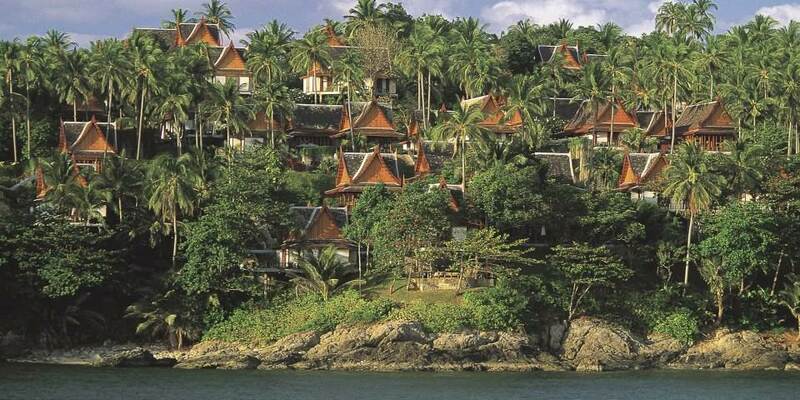 Each of the forty Pavilions is constructed in the Thai style and set amongst the coconut plantation; many of them look out over the resort’s garden or plantation, others have partial sea views, while some enjoy an uninterrupted view of the ocean beyond. All have spacious bathrooms, dressing areas and king size beds. Outside there is a beautiful sala with a sun deck and dining terrace; some of the Pavilions even have the added luxury of their own private pool. 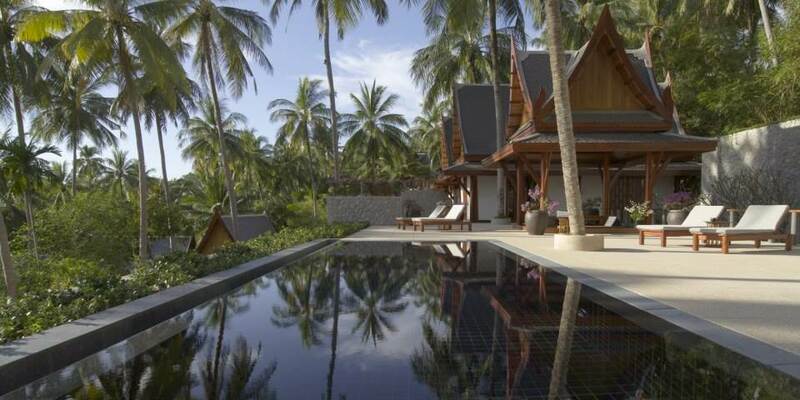 Amanpuri also offers an exclusive alternative to the main resort in its 30 private self - contained villas which have from two to six separate bedroom pavilions. Easily accessible but set slightly away they are located on a private headland with breath-taking views of the ocean. Interiors have Thai furnishings, art and antiques, most have a central courtyard containing a pool around which the bedrooms and living accommodation, which includes a dining sala and kitchen area, are arranged. Each of the villas is very spacious and comes complete with a cook and live in maid.